The world of crypto-assets has climbed out from the dark corners of the Internet and into mainstream investment portfolios. Rarely a day goes past where the topic isn’t discussed in the news or at the local pub, and whilst every second person claims to be an expert, there has already been more than $2b USD lost since the start of 2018. With the increasing value of these assets and the personal liability of holding them, safe and secure storage solutions have never been more essential. 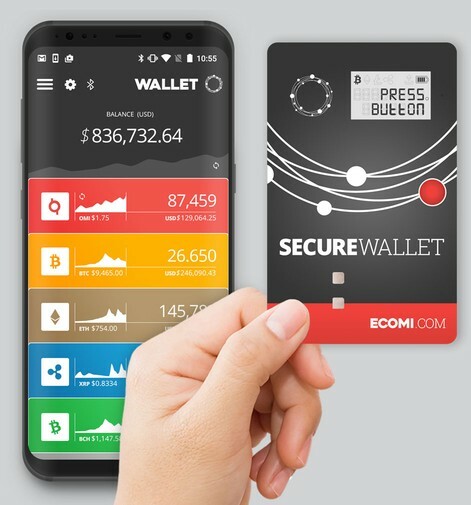 Introducing the ECOMI Secure Wallet, the first in a line of product releases by ECOMI and most secure means of storing crypto-currencies and assets available. What is the ECOMI Secure Wallet? 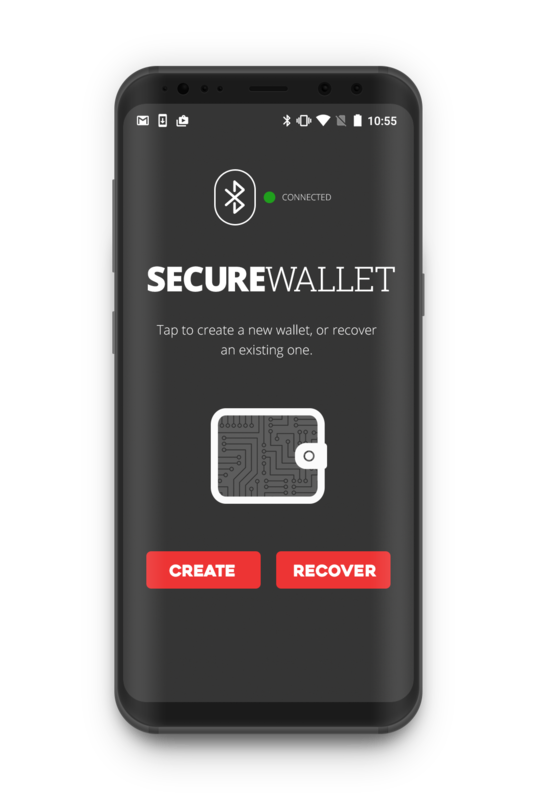 In development since 2010, the Secure Wallet is a physical cold-storage hardware device. 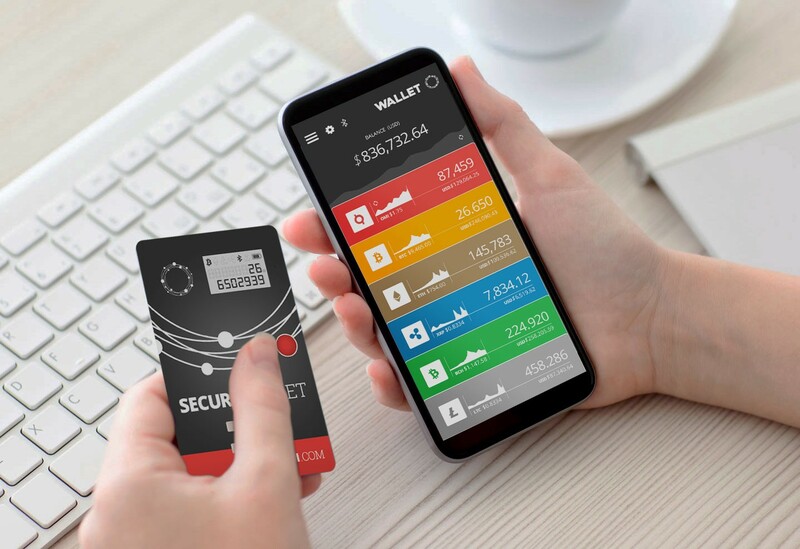 Designed to be completely impenetrable to malicious attacks, the wallet and its infrastructure ensure that it is never connected to the Internet, nor connected directly to an online device, maintaining the most secure asset protection while providing a user-friendly interface. The Secure Wallet is literally the size and thickness of a credit card. Designed to be ultra-portable, the storage device fits easily in whichever wallet/case you currently use to store your credit cards. By using printed circuitry and an e-paper display screen the Secure Wallet is almost weightless, coming in at a meager 20 grams, is waterproof, and comes with 15 degrees of flex. 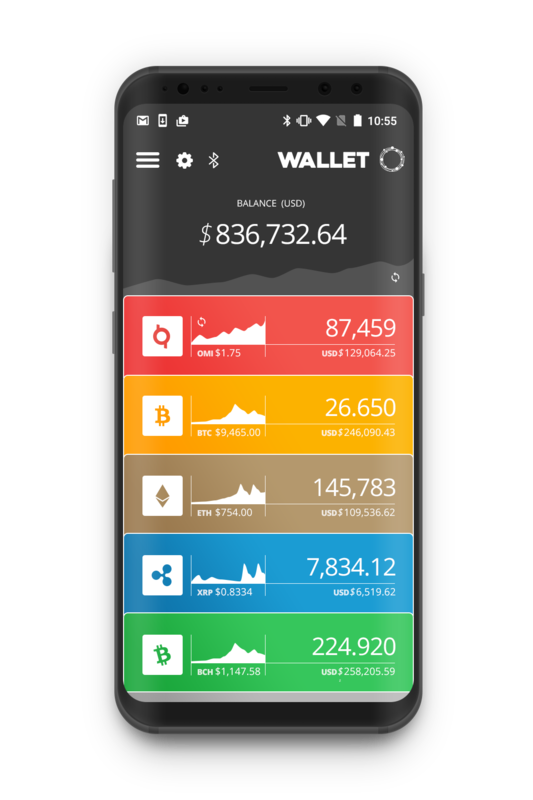 Moreover, the wallet features a single button for confirmation of transactions and one-time-password generation, allowing the overall design to remain sleeker whilst providing an added level of security. 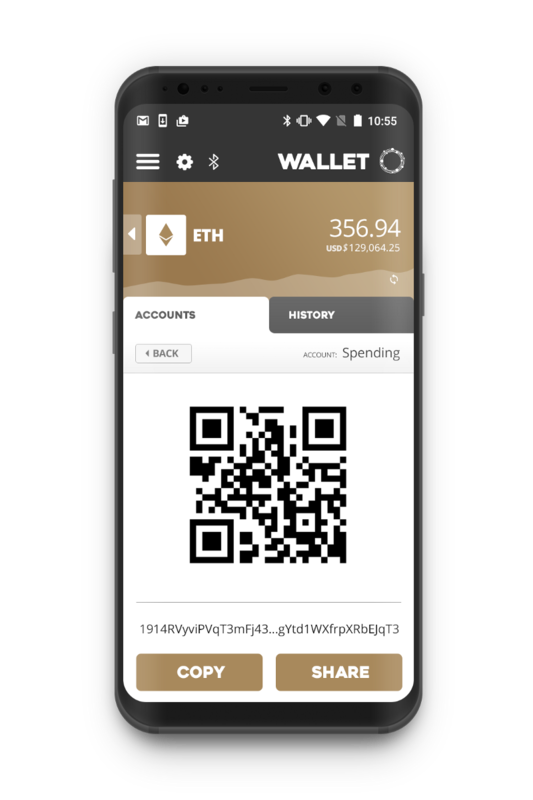 Operation of the ECOMI Secure wallet is done via an encrypted Bluetooth connection on a paired Apple or Android device. By removing the need for a wired connection to a computer/phone the device ensures it can never be compromised, whilst still allowing for the highest degree of portability. Interaction with the device is done via the companion app. This comfortable and recognisable use of app technology has created the most user-friendly cold storage device available. 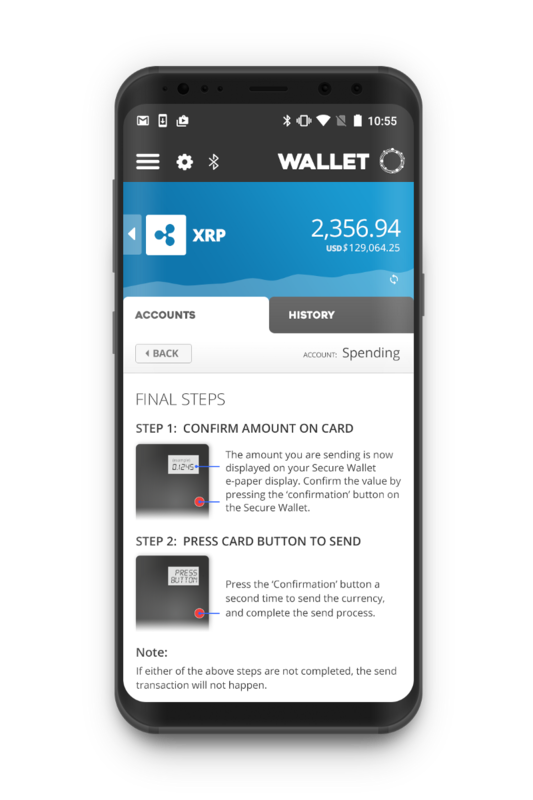 By using the companion app, owners of the Secure Wallet are given control over the seamless transfer of crypto-assets in and out of the device, safe and secure storage, as well as the ability to create up to 5 individual wallets per asset. It is also important to note that there are no fees for the use of the Secure Wallet (other than the associated blockchain confirmation fees). The secure element, otherwise known as the ‘Smart MXTM high-security micro-controller IC’ is a state-of-the-art 32-bit security crypto-controller. It is designed specifically for high-performance security chip card management and applications, allowing for contactless interactions and multi-factor authentication requirements. This maintains the security of private keys, whilst meeting international security specifications, and is CC EAL5+ certified- the highest security standard for government level deployments. The E-paper display screen is exactly what it sounds like. An electronic display screen that is paper-thin. The Bluetooth connector adds an additional element of security to the ECOMI Secure Wallet by providing an encrypted connection and ensuring interaction with the wallet can only be done on a paired phone/computer utilizing the companion app. 4. The confirmation button (red) is used to generate one-time-passwords (OTP). The Secure Wallet is the only cold storage device to feature a physical OTP, and this additional security feature means that every transaction leaving the wallet has to be physically confirmed by you, the owner. 5. The printed circuit board allows for the sleek design and portability of the Secure Wallet, whilst remaining environmentally friendly. Over 90% of the components of the device are recyclable and meet international standards of environmental sustainability. 6. The Secure Wallet features a rechargeable lithium-ion battery, providing up to 4 weeks of battery life per charge. A quick charge feature allows a one-hour charge to provide 85% battery life, with a complete charge taking a measly 4 hours. 7. Charging connectors allow for the quick charge features of the ECOMI Secure Wallet, whilst it is sitting comfortably in the charging cradle. Whilst the physical hardware provides immutable protection against online attacks, the Secure Wallet also has a number of additional security features, designed with the user in mind. It will also have support for a number of non-fungible tokens in the coming months, as well as the OMI token- ECOMI’s native token before too long. Moreover the Secure Wallet also supports all future Bitcoin forks, allowing any person holding coins on the device to take advantage of new developments through the companion app, and our dev team is constantly adding new features to improve security and user experience. Purchasing the Secure Wallet is the smartest and safest move a crypto-investor can make. Aside from being the most secure and portable cold storage device on the market, the companion app and one-time-password button have been designed for both serious investors and hobbyists alike. The Secure Wallet is also designed to hold private keys for both fungible and non-fungible tokens. Thanks to the interaction between the Secure Wallet and ECOMI Collect, you can securely store your digital collectibles offline on the Secure Wallet. Lifetime support and software updates, including on-going support for forks and additional currencies. When considering the value of crypto-assets today, and their potential future value, the comfort, and security of knowing your investments are safe from malicious attacks and other potential dangers is irreplaceable. You’ve already made the decision to invest in crypto, so reward your ingenuity and ensure the security of your assets, and your future, with the most secure cold storage wallet available. ECOMI’s mission is to create the world’s best platform to purchase, trade and collect premium licensed digital collectibles. With user-friendly products and applications, ECOMI delivers the freedom to secure and control your digital assets, data, and cryptocurrencies from one user-friendly interface.